Let’s get real for a minute. If you’re one of those folks who hate mushrooms because they “taste like dirt” it’s time to get over it. Don’t be a ‘shroom hater. I mean, it’s not 1970 when you didn’t have sites like FoodieandWine.com to turn to for creative recipes and the Better Homes and Garden Cookbook could only do so much. I too hated mushrooms until a visit to Saltgrass Steakhouse in San Antonio opened my eyes. Think mushrooms smothered in butter, red wine and more butter! It was like butter with a side of mushrooms. Who can pass up a dish comprised of butter and wine? Nope. I can’t either. So I didn’t. We lapped up the remnants of the butter sauce with the spoons used for the famous Texas Sweet Tea. We’re all about multi tasking and that spoon served dual purposes that day. Life. Changing. 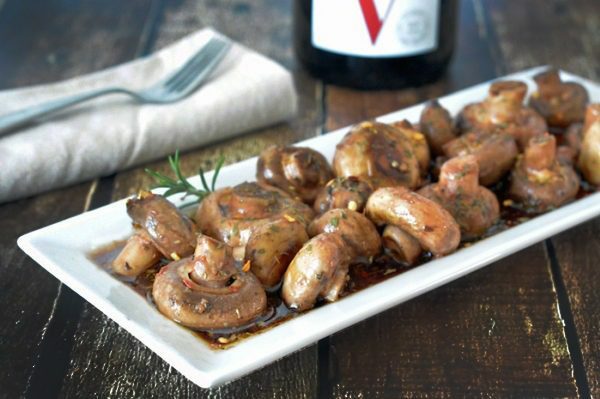 We’ve been experimenting over the past few years with our own sautéed mushroom recipe. We’ve tried the “cook all day” route but the aroma, while divine, killed our appetite once they were ready to serve. Instead we focused our efforts on the opposite. 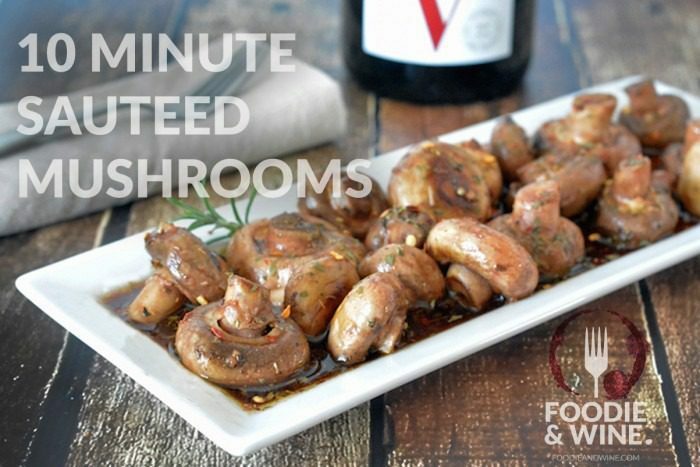 Sautéed mushrooms that don’t take hours to cook. While our version is much healthier than the dish we fell in love with at the Saltgrass Steakhouse, it still packs the same flavor. 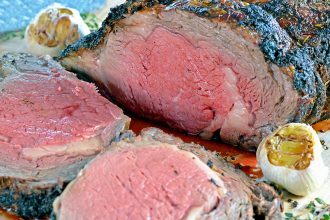 This dish pairs wonderfully with our Roast Beef recipe. 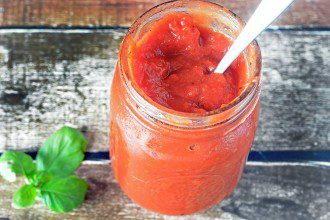 21 Day Fix Recipe – to make this approved for the 21 Day Fix diet (21 Day Fix details here), just replace the soy sauce with Braggs Liquid Aminos and replace the red wine with an additional tablespoon of red wine vinegar. 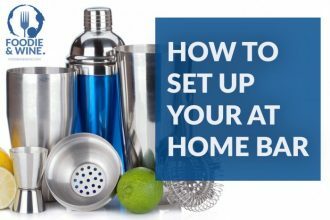 The recipe only calls for 2 tablespoons of wine and most of it burns off so keep that in mind if you’re worried. 1 serving equals 1 green and 1 oil. TIP – Make sure you’re signed up for our weekly email so you don’t miss out the latest FoodieandWine.com news, recipes and giveaways. * We do not share your information. Place the mushrooms in a colander and rinse with water. Drizzle a tablespoon of olive oil over the mushrooms and shake to coat. Pre-heat a large sauté pan over medium-high heat. In a medium size bowl, add the soy sauce, red wine vinegar, red wine, remaining olive oil, garlic, thyme, red pepper flakes, basil and a dash of garlic salt and stir until combined. Taste the mixture and adjust according to your preference. Place the oil coated mushrooms into the hot sauté pan and sauté for 7-8 minutes. The large mushrooms will take a few extra minutes to cook. Once soft, transfer the mushrooms to the marinade bowl. Gently fold the mixture so the mushrooms are evenly coated with the marinade. If desired, add a final dash of salt or garlic salt. Enjoy immediately or let them marinate a bit to increase the flavor profile! These are great cold. 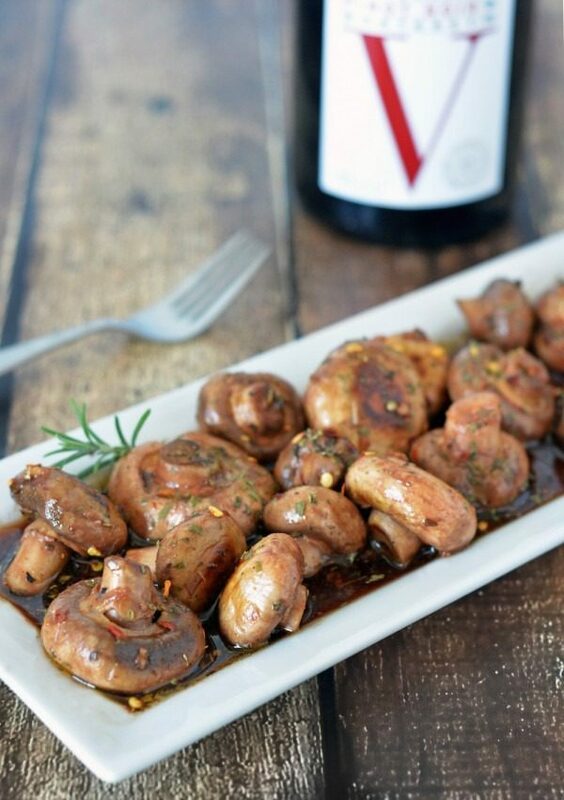 Love sauteed mushrooms.. think this would make an excellent side with dinner tonight. Thanks for the recipe..